The X8 Lightweight Transit Wheelchair was developed to include a wide range of features with an additional focus on design. 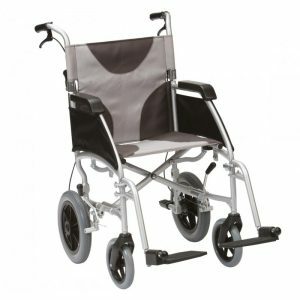 This X8 Lightweight Transit Wheelchair features a stylish new design and weighs only 13kg. • Plastic front forks with 20cm (8″) x 3.2cm (1″) grey PU tyres. • Cranked push handles for compact folding. • Long reach brakes and rear cable breaks.